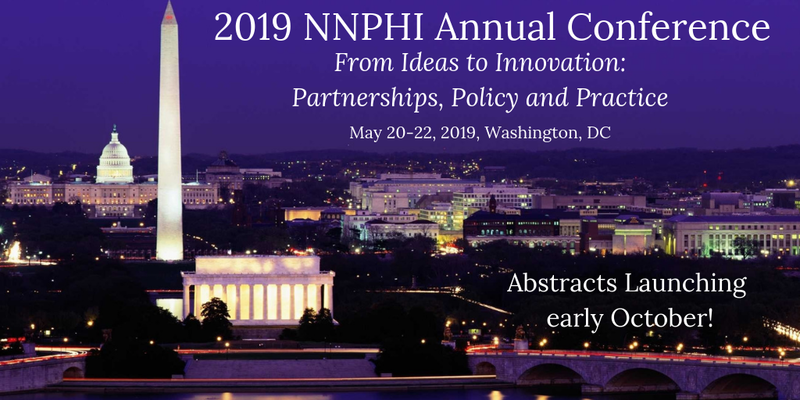 The National Network of Public Health Institutes (NNPHI) is proud to announce its 19th annual conference, to be held on May 20-22, 2019 in Washington, DC. DC is the perfect backdrop for intersectional conversations on preventing opioid overdose, connecting behavioral health and public health, advancing healthy aging, building the skills for the health strategist role among many other innovative topics. Just like we are changing up our destination this year, we are also changing our abstract submission timeline! The call for abstracts will launch in early October and close mid-November. We hope you will join us and consider submitting an abstract to share the great work you are doing in your communities. Registration will open later this winter, so be sure to stay tuned in order to take advantage of our early bird discounts!